The first high-resolution image has been returned from NASA's Messenger Spacecraft, which made its close approach (17,000 miles) flyby yesterday, Jan. 14th, 2008. This flyby is the first of three planned flybys until orbital insertion around Mercury on March 18th, 2011. 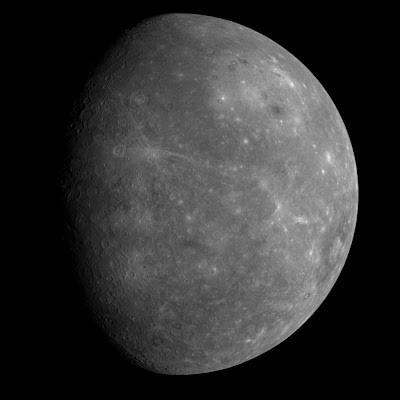 It is also the first time in almost 33 years that Mercury has been imaged in such great resolution. Messenger's first flyby image of Mercury. Click image for larger version. Also, Messenger sent back this short time-lapse video of its approach to Mercury. Thank you again for all the knowledge you distribute. Good post. I was very interested in the article. It’s quite inspiring I should admit. Now follow-up Cash Advance A lot of thanks for nice work.